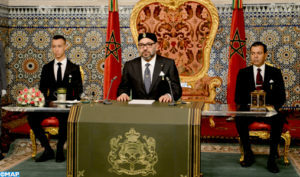 The call launched on Tuesday (Nov.6) by King Mohammed VI to open a frank and direct dialogue with Algeria to settle the transient and objective differences impeding the development of the two countries’ relations was met with praise in Africa. President of Burkina Faso welcomed the Moroccan Monarch’s call and pleaded for opening borders between Morocco and Algeria. President Kaboré who insisted that the opening of Moroccan-Algerian borders will benefit the entire continent commended the efforts made by King Mohammed VI to strengthen inter-African bounds, lower all the obstacles delaying African progress and search for real solutions to Africa’s problems. In Abidjan, Ally Coulibaly, Ivorian Minister of African Integration commended the royal move as it seeks, he said, to open new perspectives for peace and development in the Maghreb. President Alassane Ouattara welcomes the royal proposals, which reflect the Sovereign’s attachment to peace and dialogue, said Ally Coulibaly. By calling for dialogue with Algeria, the Moroccan Sovereign has set the example for world leaders, mainly African leaders, said Senegal’s ombudsman and former Foreign Minister, Alioune Badara Cissé. Mauritania has also commended King Mohammed VI’s call as an initiative that will safeguard regional stability. “Mauritania encourages and wishes full success to any initiative aiming to guarantee regional stability and security as well as neighborliness,” Spokesperson for the Mauritanian government Sidi Mohamed Ould Maham said. Cape Verde, through the voice of Foreign Minister Luis Filipe Tavares, welcomed the royal call for dialogue as a “wise and courageous” initiative. He described the royal speech as historic, expressing hope that Algeria would grasp the hand extended to it. 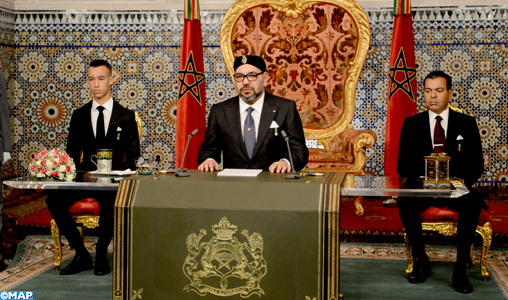 The Royal initiative was also hailed by several Arab and European countries as well as by the UN Secretary General and the European Union as an opportunity to open new perspectives for peace, stability and development in the Maghreb. Posted by Hafid El Fassy on November 9, 2018. Filed under Columns, News, Zoom. You can follow any responses to this entry through the RSS 2.0. Both comments and pings are currently closed.